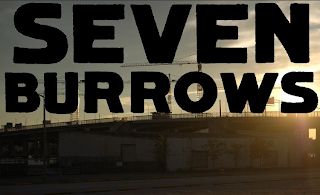 Locals my be interested in Seven Burrows for some Hampton Roads shredding. I'd be into it if I was a locale. so the idea is that 7 is digging a hole into something? i know what it is. 7 a a dude right? and he's digging holes to turn up sick skate spots?! I thought it was burrows like donkeys. Like there are 7 dudes associated with the site and they call themselves donkeys but burrows instead of donkeys. Any other theories..?